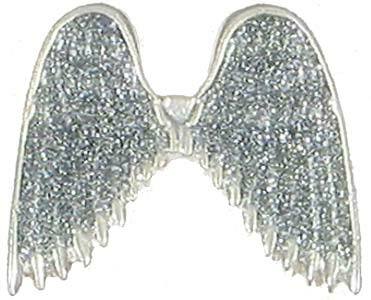 Angel Wings With or Without Sparkling Glitter! Exclusive and Unique! 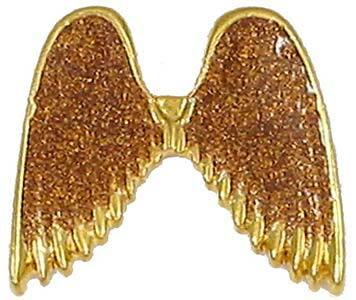 Your choice of a silver or gold plated metal angel wings pin. Pins available with sparkling glitter under a clear protective coating or without glitter. They are 1 inch tall and very attractive! Great for rewards for volunteers or memorials. Angels' wings serve as symbols of God's care earth. We manufacture these to keep the prices low! Sterling gifts product. 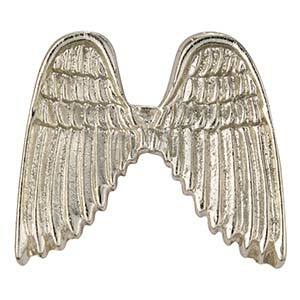 I purchased the silver angel wings to wear on my motorcycle vest along with the St Christopher pin. It serves to remind me that I am not alone when I ride. My angel, and the Lord watch over me. 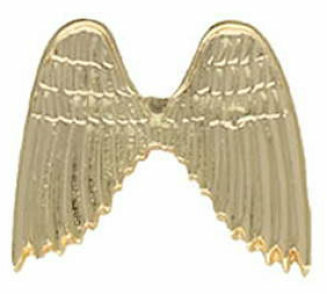 I would like to see more choises for guardian angel pins, but the wings do fine.